For the 2018 Tyre Review Winter Adventure Andrew took his souped up Volkswagon Amarok to the west coast of Tasmania equipped with the General Tire AT3. 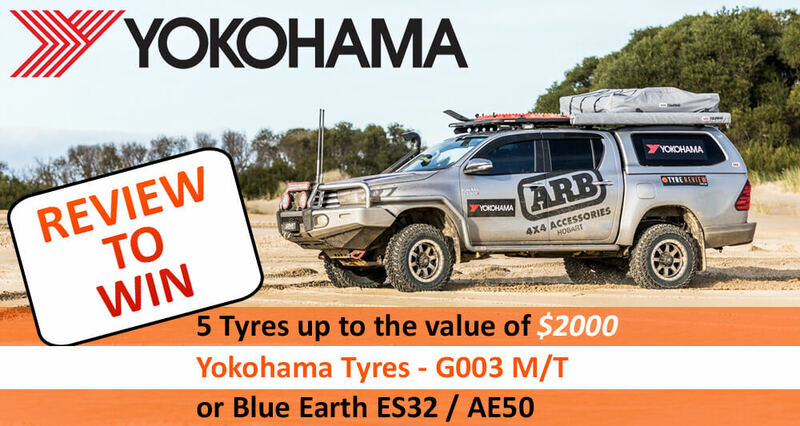 For the 2018 Tyre Review Winter Adventure Andrew took his souped up Volkswagon Amarok to the west coast of Tasmania equipped with the General Tire AT3. How did they hold up? What did he think of them? Check it out! Jared: I'm Jared, we're here on the West Coast of Tasmania for the 2018 Tyre Review Winter Adventure. I'm standing here with Andrew who has been driving on the General Tire AT3 tyres for this last weekend. Andrew, can you just describe the tracks that we've been driving on this weekend? Andrew: We've done plenty of mud, sand, rocks, we did everything really. We've pretty lucky, we covered most things. Jared: Sort of rough tracks as well, aren't they? Andrew: Yeah, some are pretty challenging. It was good, it was really good. Jared: Excellent. Can you just describe your driving style for me? Andrew: Yeah, I'm a turn head. You'll probably get into a bit of a crack here and there, but you've got to have fun I suppose. Don't damage anything, but you get the most out of the tyres, that's for sure. Jared: Probably, I'd say one of the harder drivers of the weekend. Jared: But you gotta have someone who's gonna show off for the cameras. How do you rate these tyres in terms of their performance in the mud? Andrew: Mud has been really good. We clogged them up pretty hard yesterday but weren't really sticking to anything and still go through exactly where the mud tyres were. Even though [inaudible 00:01:31], they cleared themselves out pretty quickly, which is good. Jared: There was actually a car that got stuck where you didn't get stuck. I mean, they're probably lying to us as well, but that's quite impressive, these tyres. But these are the lightest tyres on this test. We've got mud tyres in this test and these are significantly smaller. You know, not smaller, because they're all about 33, but they're the largest tyres. So, you know, you did well. And on the rock, how did they go? Andrew: Yeah, rock was good. There's no issue traction wise, really. Even in the sand they're good. Not a problem at all, everything lived up to it. Jared: You did put a hole in one, though. Andrew: We did. We probably are, as you can see, we think the side walls in them aren't as strong as others. We started running 20 psi here and it's pretty bulged out. Did pinch a rock with the back one in the side wall and tear it, but I mean it's good to have many tyres, [inaudible 00:02:17] rock. But they've held up pretty well. Jared: Yeah, okay, cool. And you normally run a bigger size as well with this? Andrew: Yeah, we normally run a 385 on this car, which is a couple of inches wider and a couple of inches taller. So, a lot more side wall given, being 88 inch is not a lot of height. So, they've done pretty well. Andrew: Yeah, good obviously. If you were [inaudible 00:02:37] driving everywhere again, then it probably wouldn't be the ideal choice. But if this is their car or your car you use to go to work and back every day with and get out on the weekends once and every now and again, it wouldn't be an issue at all. Jared: Awesome. Cool, thank you for coming along, Andrew. It's been great. Andrew: Not a problem at all. Thanks for having us.